Since 1969, the Roosevelt Jazz Program has engaged high school students in the artistry of jazz. Under the direction first of Waldo King and now Scott Brown, Roosevelt Jazz has matured into one of the nation’s most accomplished programs advancing this uniquely American art form. Over the years the Jazz Band has competed nationally in New York and Philadelphia and performed internationally in such diverse venues as Montreux, Switzerland; Beijing, China; and Mazatlan; Mexico. This in addition to an energetic participation in regional jazz festivals engaging all of the program’s ensembles – Jazz Bands I, II, III, and IV, and Vocal Jazz. Roosevelt High School is a public school in Seattle, Washington. 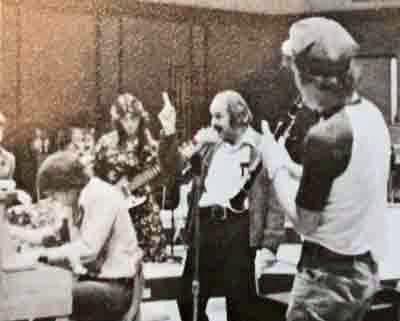 Music Director Waldo King first assembled a jazz band, then called the Stage Band, in 1969 and in 1971 he established vocal jazz as a regular class. 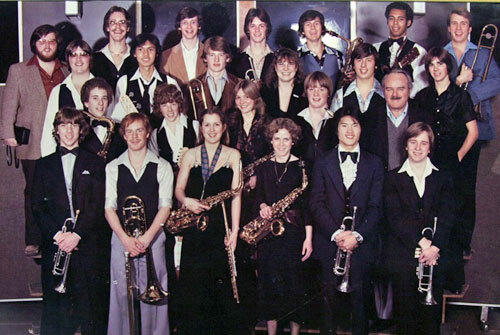 In the 70’s and early 80’s the Roosevelt jazz ensembles performed in jazz competitions in Washington, Oregon and Nevada. The vocal jazz ensemble was the sweepstakes winner at the Reno Jazz Festival in 1972 and 1976. The Jazz Band was the Sweepstakes Band at the Clark College Jazz Festival in 1978, 1980 and 1983. Listen to Roosevelt Jazz, Waldo King, Director, in 1980: Rhoid’s Blues (Jazz Band, Composed and Arranged by Dave Barduhn) and Red Top (Vocal Jazz, Arranged by Waldo King). Waldo King retired in 1983 after thirty two years in music education. Susan Bardsley directed the Vocal Jazz Ensemble from 1984 through 1988. Scott Brown assumed the responsibilities for the Jazz Band in 1984 and for Vocal Jazz in 1989. 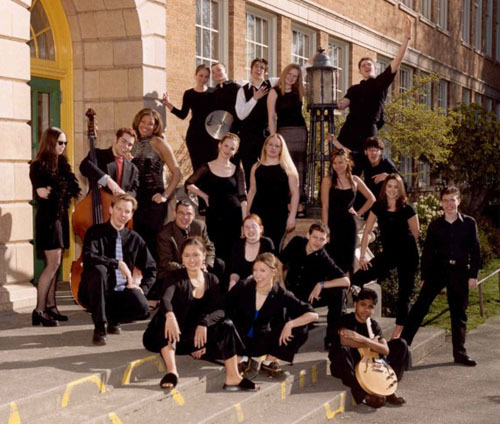 Roosevelt’s Vocal Jazz Ensemble continued this tradition in 2006 when the Lionel Hampton Jazz Festival selected it as the Winner of the Multi-Mic Category and as the Outstanding Festival Choir. Roosevelt Jazz Band first competed nationally in 1989 at the Down Beat National Jazz Competition in Philadelphia. The Jazz Band has also performed in 1992 (New Orleans) and 2006 (New York City) for the International Association of Jazz Educators. In 1997, 1998 and again in 2005 the Roosevelt Jazz Band received Down Beat Magazine’s Student Music Award for High School Outstanding Performance. The Essentially Ellington competition at Lincoln Center in New York City is currently the premier national competition for high school jazz musicians. This festival has selected the Roosevelt Jazz Band as a finalist to compete in New York in all but one of eight years since 1999 when the festival first included schools west of the Mississippi River. Only fifteen bands are selected each year out of over one hundred submitting audition recordings from the United States and Canada. Roosevelt Jazz Band finished first in this competition an unprecedented three times: in 2002, 2007, 2008, and has three times taken second place. On the international scene, the Roosevelt Jazz Band has traveled to Europe, Asia and Latin America. Several of these trips were to Seattle’s sister cities, Nantes, France, and Mazatlan, Mexico. In addition to sharing their music with these communities, the Band delivered donated instruments to Mazatlan youth music programs. 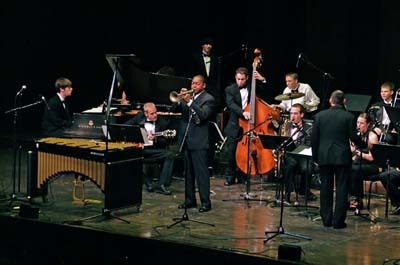 In 2001 the Roosevelt Jazz Band served as Washington State Ambassadors to Beijing, Chengdu and Shanghai, China. In Europe the jazz Band has performed at the Montreux and North Sea Jazz Festivals and in many local communities along the way in France, Italy, Spain, England, Germany and the Netherlands. In 2006 the Band traveled to The Netherlands, Denmark, Sweden and Finland, performing at the North Sea, Stockholm and Pori Jazz Festivals. The Band’s most recent international appearances were at Jazz a Vienne, France’s largest jazz festival, and the Umbria Jazz Festival in Perugia, Italy during the summer of 2008. Roosevelt Jazz regularly performs in major venues for Seattle audiences. In 1991, at the Paramount Theater, Roosevelt Jazz enthusiastically hosted and played with one of its principle inspirations, the Count Basie Orchestra. More recently, in December of each year the Jazz Band offers several performances of the Ellington/Strayhorn Jazz Nutcracker. Also, each year, Starbucks Coffee sponsors a concert of five high school jazz bands including Roosevelt’s that packs the Paramount Theater. Roosevelt Jazz also offers nights of vocal and big band music at our annual concerts at the Roosevelt Theatre and, of course, for fun and funding, its annual Big Band Dance & Auction each spring.